An interesting new law in New York is quite suddenly apparent now: food chains, restaurants, even coffee houses are now required by law to include the calorie content of all menu items. My hubby and I first came to this realization when we went to TGI Friday’s for a splurge dinner very early on in our residence here. We suddenly had to come to the realization that one meal here would constitute the equivalent calories of an entire day’s worth. I opted for the lean steak and vegetables on the side, but didn’t hesitate to help myself to some of Pete’s mashed potatoes. It is quite amazing what happens when the calorie count of a Starbucks iced chai tea latte is revealed right next to the caloric count of a simple iced coffee. The mind does a backflip and instantly regrets all those iced chai tea latte’s of the past. The plans of the day become an important, essential choice…do I get the high calorie item now and shirk on things later in the day or reverse that? Or just ask for an iced tea and be done with it? Thank you, New York, for putting in plain English exactly what we are offered in a simple, gastrointelligent way. I’m sure with this, and all the walking I’m going to be doing, my weight will gradually slim down. I’m still going to go to the gym, but now that “whole grain sesame seed muffin” won’t get me to taste its 400-calorie being anytime soon. JRB Karaoke Contest – help my friend! I just signed up for the fun concept of a night of 1930’s music…American Idol style. 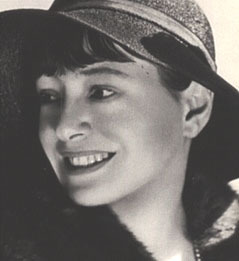 A fun party made in honor of Dorothy Parker’s 115th birthday will be on August 20th at the Broadway Baby Bistro & Piano Lounge 318 WEST 53RD STREET • NYC (Between 8th & 9th Avenues) 212 – 757 – 5808. 20 contestants (including me) will be singing period songs and American Songbook pieces and have general fun together – regardless to who makes it to the winning 1st prize spot. But they do give out the Audience prize for most votes from the crowd,so your presence is much appreciated, as well as your family and friends who need to get out of the house HINT HINT BE THERE HINT HINT. But mark your calendars NOW for the late night of August 20th, starting at 10pm. Don’t be late, or you might miss seeing me!